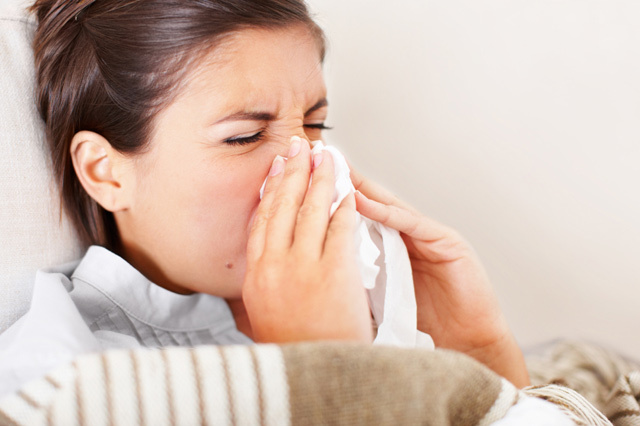 When seasons are changing more cold and flu may occur. Viruses cause flu and colds not a bacteria. So antibiotics will not be effective in that case. Antibiotics are required if it is secondary bacterial infection. It is rear, but it may be life threatening (like pneumonia). -Not enough rest and inadequate sleep. Everything in moderation will not cause problem. So if you are coming down with the flu symptoms is not a good time to indulge in sugary and processed food. Chicken soup made from organic chicken with plenty of vegetables, garlic, oregano and thyme would be much better option. It is scientifically proven that Chicken soup helps with the cold and flu symptoms. If you are too sick to cook. Buy readymade chicken soup and add some fresh herbs while reheating (thyme, parsley, oregano and don’t forget garlic). -Vitamins C, D and Zinc. Of course prevention is preferred, but if it’s there it’s there. -If onset of illness is sudden homeopathic remedy Aconite is very good. It must be given at first sight of symptoms and then taken frequently every 15 min. -Supplement N-acetylcystein proven to be effective against influenza and seasonal flu-like illnesses. -To sweat out virus from your system drink tea made out of Elderflowers, Lime flowers, Yarrow and Lemon Balm. Naturopathic consultation for acute illnesses available over the phone and herbal remedies may be collected on the same day.